Whether you want a calm oasis, a romantic boudoir or a bright welcoming space from your bedroom, what better way to create it than with white furniture. While others have been in hibernation this winter, Furniture 123 have been busy adding exciting new bedroom ranges to enhance every type of home. 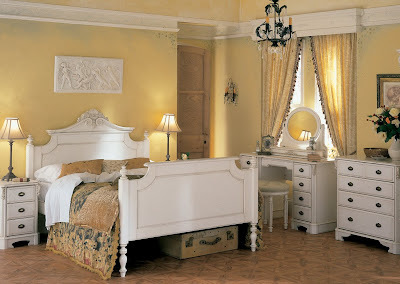 Amore is a hand built bedroom collection, designed with a hint of Italian detailing and a sense of a bygone era. Meticulously manufactured in solid pine and modern materials, these pieces possess a truly elegant look. Once painted, they are lightly distressed by hand for a smooth patina feel and lovely antique look. The beautiful Amore bed has ornate crests and scrolls and will add bags old fashioned romantic charm to any boudoir. With elegantly simple lines and attractive wood frame in cool ivory shades, the Atlantis bedstead will prove the perfect addition to traditional and contemporary bedrooms alike. Its clean angles and slatted detail ensure a subtle aesthetic that accentuates rather than overpowers, allowing you to create a bedroom worthy of much more than just 40 winks! With a luxurious details aplenty, the Josephine range brings you old fashioned elegance tailored to today’s modern homes. 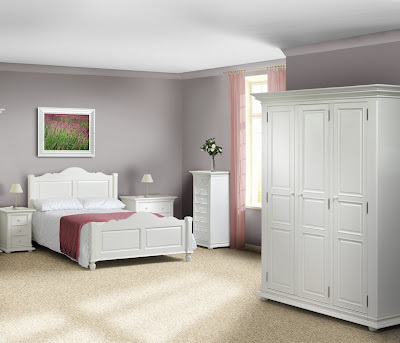 This range comes in a versatile and uplifting colour, for the most stylish bedroom in town. The Josephine bed offers comfortable slatted mattress support and the classic shape will look good whatever the future of home decorating brings.